Are our pet cats bird-killers, or ratters? Grass-eating layabouts, or stealthy skink-hunters? What do they get up to at night? And are their hunting activities doing damage to our wildlife, or helping to protect our wildlife by keeping rodent numbers low? Last year philanthropist and conservationist, Gareth Morgan fielded a number of questions like this at a community meeting where residents living near the wildlife sanctuary Zealandia grappled with his demands to keep their moggies inside, or not replace them, following the launch of his site Cats to Go. 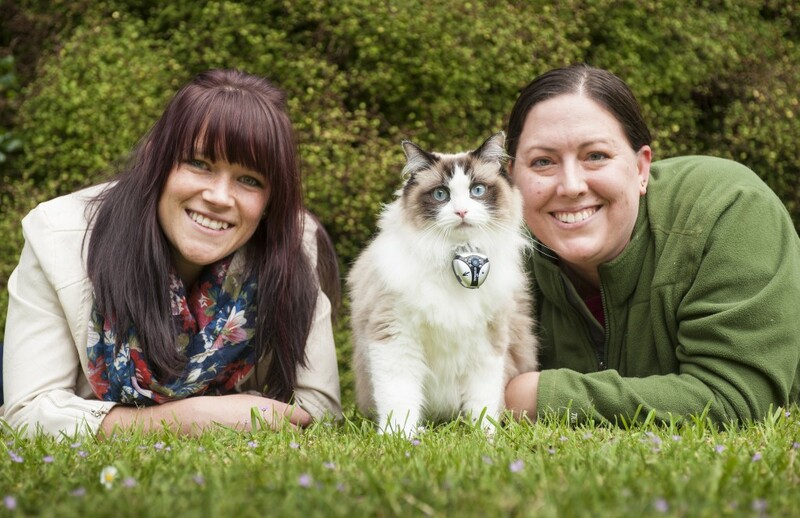 Amongst the crowd was Karori-based Postdoctoral Fellow Heidy Kikillus who came up with the idea of conducting a pilot study documenting the behaviours and habits of our domestic cats. Supported by Wellington City Council and Victoria University University, Heidy and I recently embarked on a ten-week study that follows ten cats in the suburbs nearby Zealandia (Northland, Highbury, Kelburn, Karori). Each cat has been fitted with a motion-sensitive camera that is turned on either during the day or at night by their owners to give us a two-hour snapshot of their behaviour. So far, the cameras have given us firm evidence that several cats in our study are hunters of small game – namely skinks and geckos. Big game – such as birds and rodents – haven’t featured as snacks although one homeowner received a feathered delivery from her cat, so that data will be included in the final summary, along with any other ‘finds’. I have the task of wading through up to 200 hours of kitty cam material so we can log everything from predation to grooming behaviours. The final results of this pilot study will be released in March and will help us to design a larger and more comprehensive research project, involving other techniques, such as GPS tracking, and which may span up to 2 years. This small-scale study will allow us to refine our methodology and data-collection techniques, and help us to begin to obtain a better understanding of our pets’ behaviours. Would you like to know where your moggy roams? How big is your cats’ home range? If you are interested in learning more about our current project, or possibly participating in future studies, please contact Heidy at Heidy.Kikillus@vuw.ac.nz. *Pancho (the cat) is not taking part in the study though he you can find him on twitter https://twitter.com/IndoorKaroriCat and facebook https://www.facebook.com/pancho.gato.94, if you would like to learn about the life an indoor cat and recent cat-studies. Mya Gaby has contributed 2 entries to our website, so far. View entries by Mya Gaby.